Housing Sacramento Magazine reveals Kyle Darrow’s success insights on real estate, business achievements and post mortgage crisis thoughts. 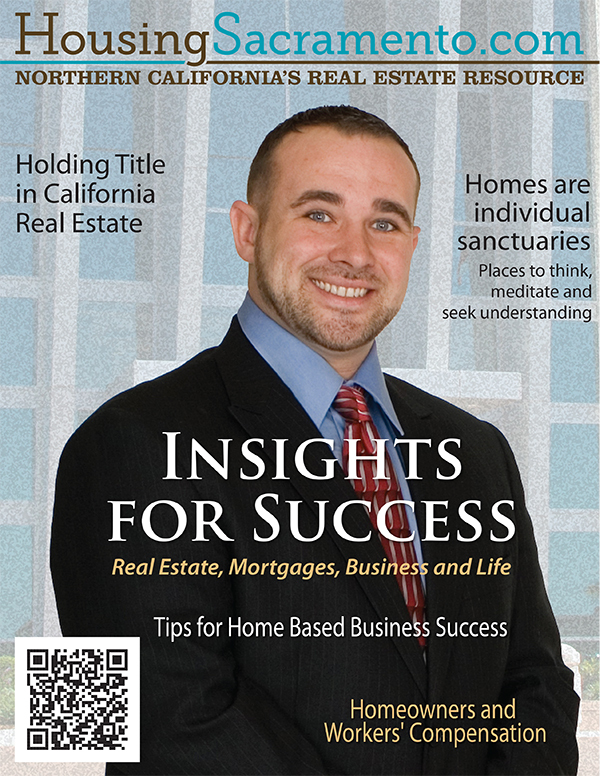 Sacramento, CA (HSM), June 18, 2013 – Housing Sacramento Magazine’s (HSM) article, “Kyle Darrow’s Reflection on Real Estate, Mortgages and Business Success”, underscores the value of experience. Kyle Darrow is a CEO of a major California real estate and mortgage companies. He has been involved in real estate and mortgage transactions valued at over 100 million dollars. Kyle Darrow holds himself and his team to a very high standard. Kyle is on the board of directors for the local Better Business Bureau (BBB). The BBB has become the symbol of trustworthiness in the business community. Kyle works hard to earn the trustworthiness that the BBB symbolizes. One of the ways Kyle Darrow plans for success in a constantly changing business environment is he constantly looks for feedback from the market and other professionals. He tries to stay on the cutting-edge of technology, while maintaining his focus on the most important ingredient to his enterprise’s success: “our customers,” says Kyle. Kyle Darrow is also a CEO of a mortgage company called California Loan Associates Inc. He often gives this mortgage insight, “the most important things that consumers can do to improve the terms of their mortgage loan are: Improve Their Credit, Pay Bills on Time, Ask Questions of the loan professional, Lock In a Good Rate and Work With an Experienced Lender. In a diverse article at: http://housingsacramento.com/magazine/kyle-darrow, Kyle shares his experiences and insights. Kyle shares in the Housing Sacramento Magazine article his best advice about real estate, business, integrity and a little about life.